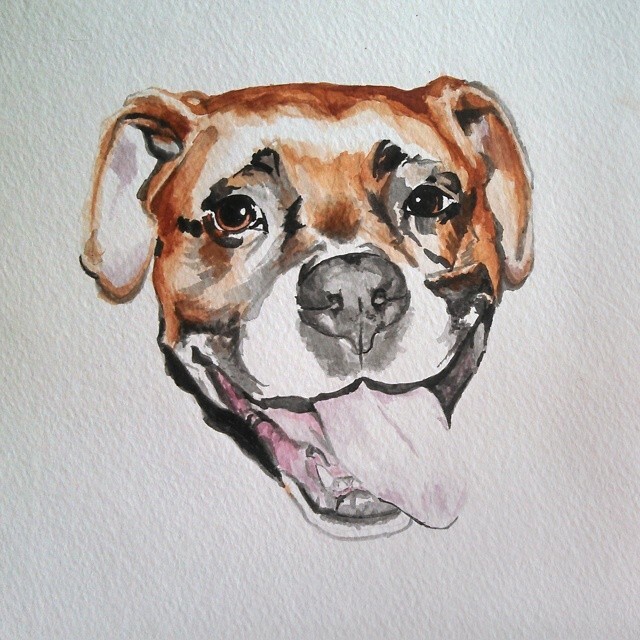 My daughter has created a pet portrait business called wag+whisker offering watercolor renderings of pets from your photos. Our late boxer pup Mocha was the inspiration for starting the business. For samples and more information check on instagram at wag+whisker. Inquiries by email at wag.watercolors@gmail.com .